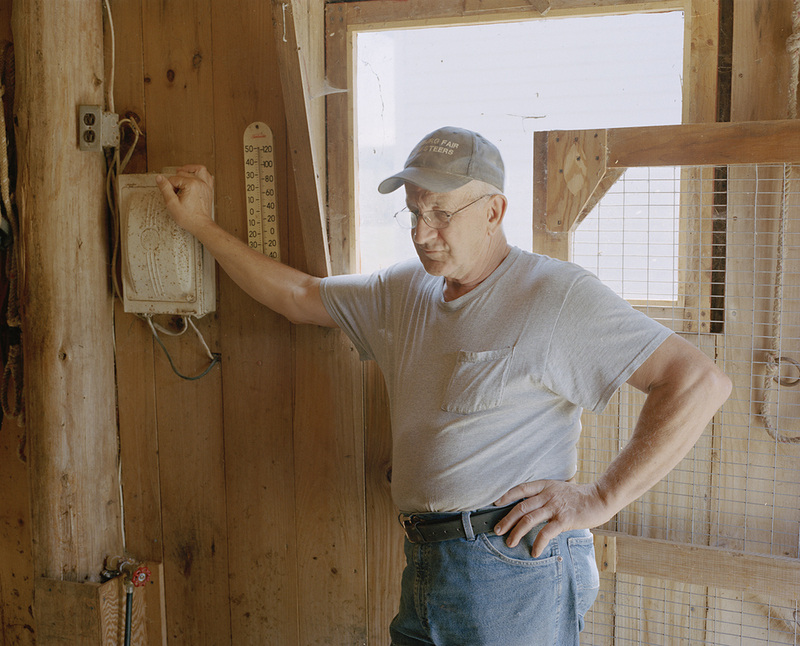 We Talk Ox is a series of photographs documenting farmers in Maine who work with oxen. In northern New England oxen have been used since the early 18th century to clear forests of large timber. Since oxen must be painstakingly trained from a young age their owners often develop close relationships with their animals. Although oxen have now been replaced by machinery draft animals have advantages over machinery, particularly in environmentally sensitive areas. The oxen in this series are now primarily kept as pets and are shown at agricultural fairs during the summer and fall seasons.